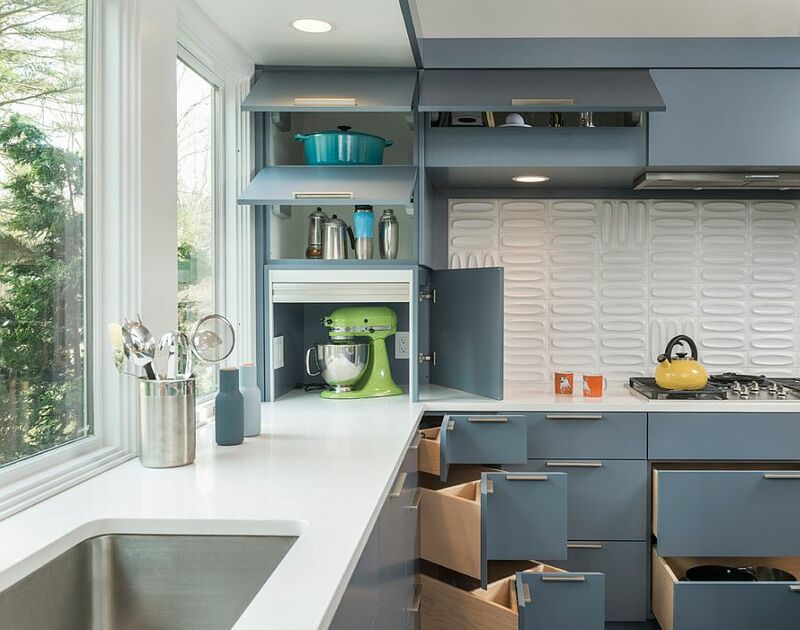 It is barely surprising that the kitchen is often one of the first rooms that most homeowners think about either before making a purchase or undertaking a renovation project. 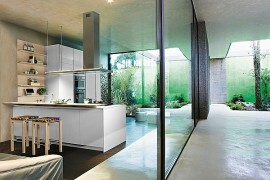 It is one room of the house where form and functionality must be perfectly balanced to deliver the best possible result. 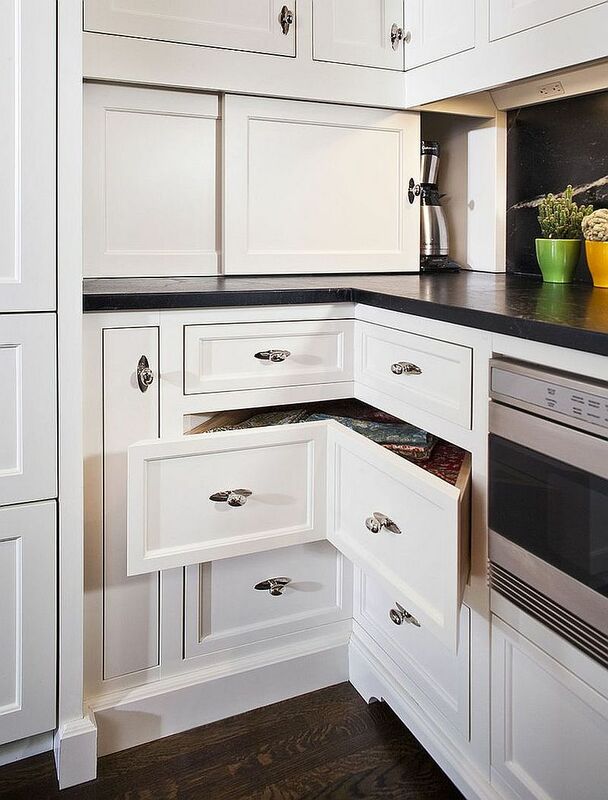 Focus too much on one of the aspects and the other suffers. 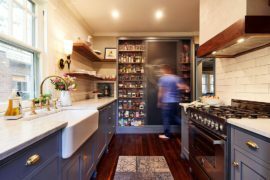 And since most of us are not blessed with gigantic kitchens and loads of spaces, shelves and storage options become an integral and essential part of the functional kitchen design. 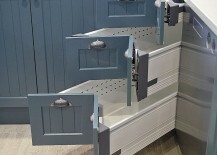 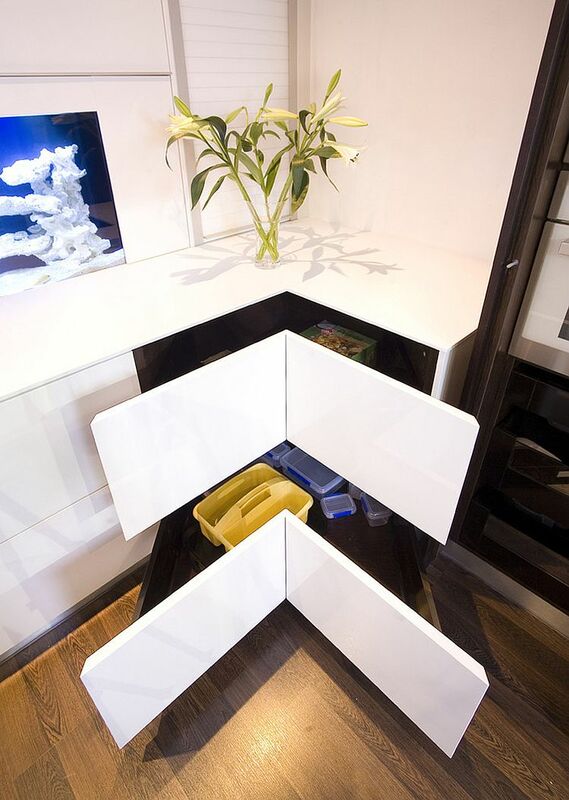 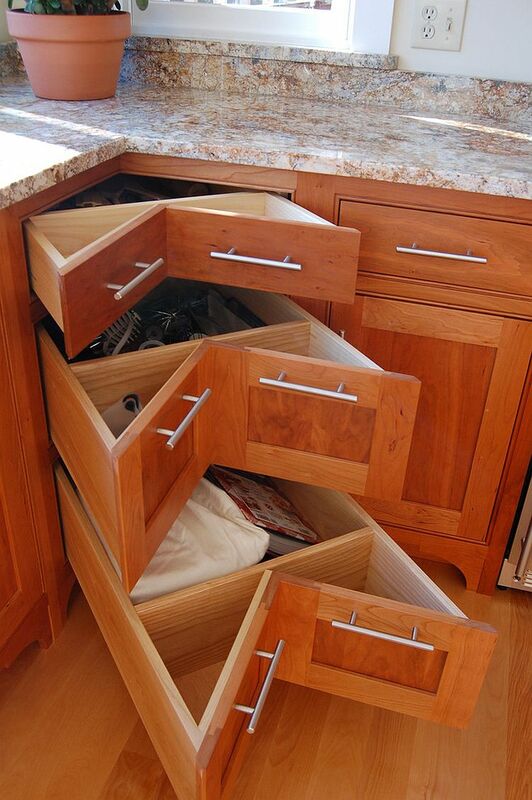 In this setting where every inch matters, corner drawers well and truly hold their own! 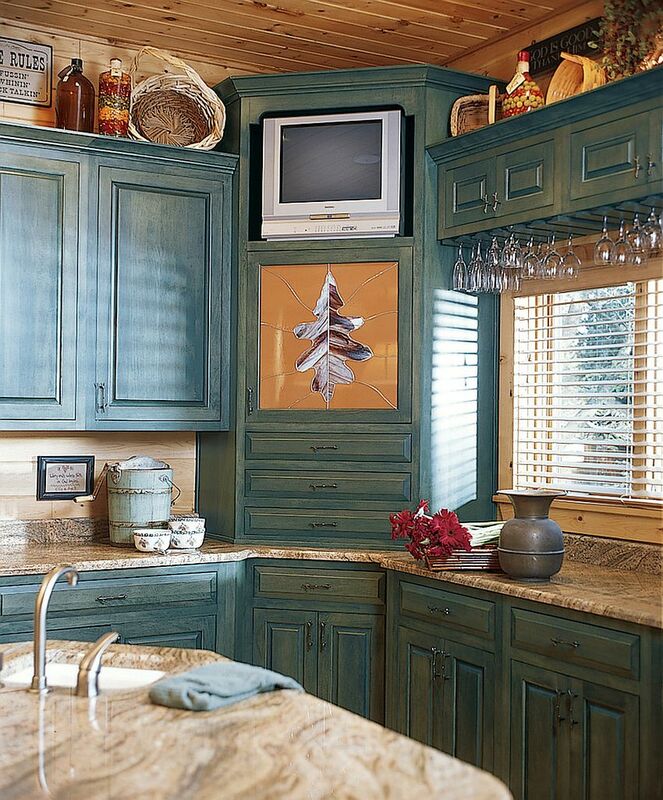 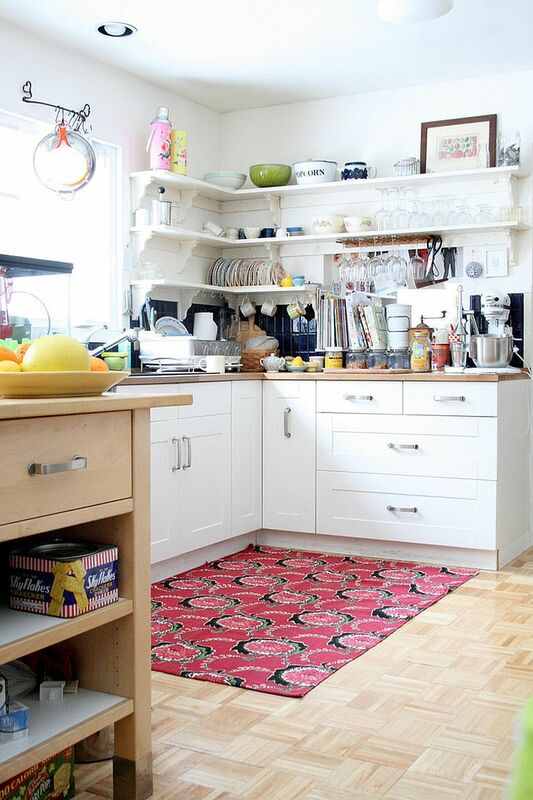 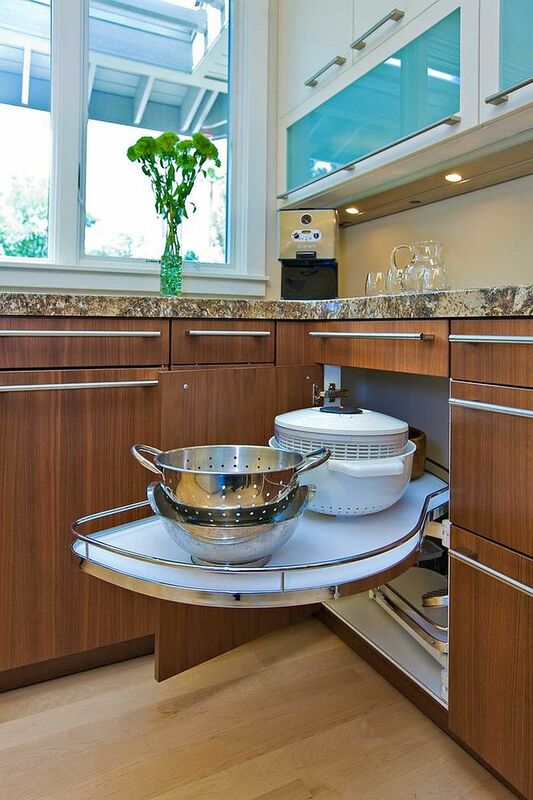 There are plenty of ways in which you can put that kitchen corner space to use. 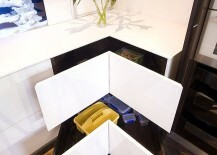 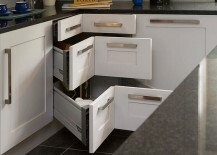 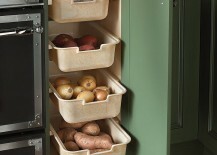 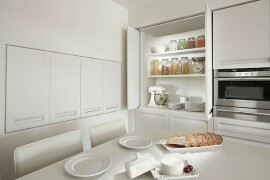 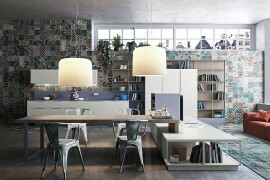 But few additions deliver as well as corner drawers both in terms of style and ergonomics. 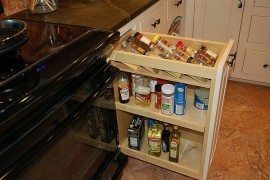 They seem a lot more convenient that traditional shelves and with many modern wonders sliding out each day, there is no dearth of options. 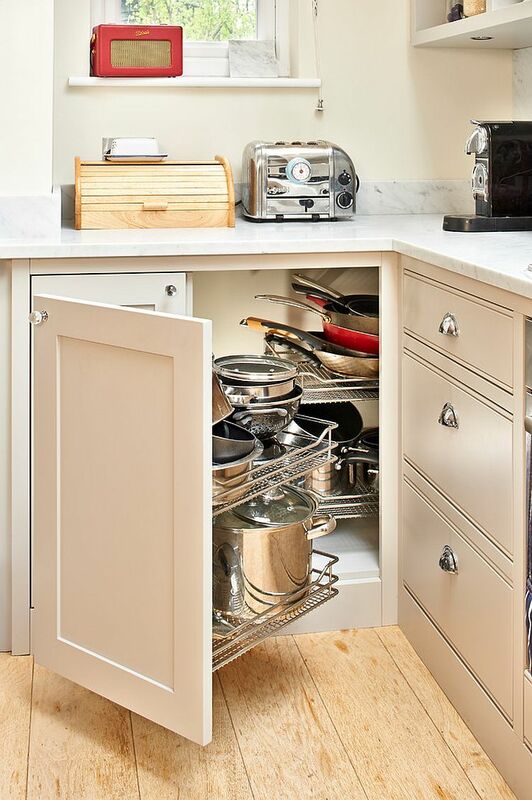 So before chalking out plans for you new kitchen (or a quick overhaul of the old one), check out these 30 efficient and space-savvy solutions. 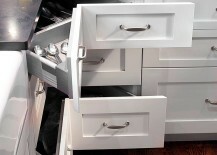 There are obviously several different ways of maximizing that little corner created by your L-shaped kitchen workstation, but few seem better than drawers that slide out conveniently. 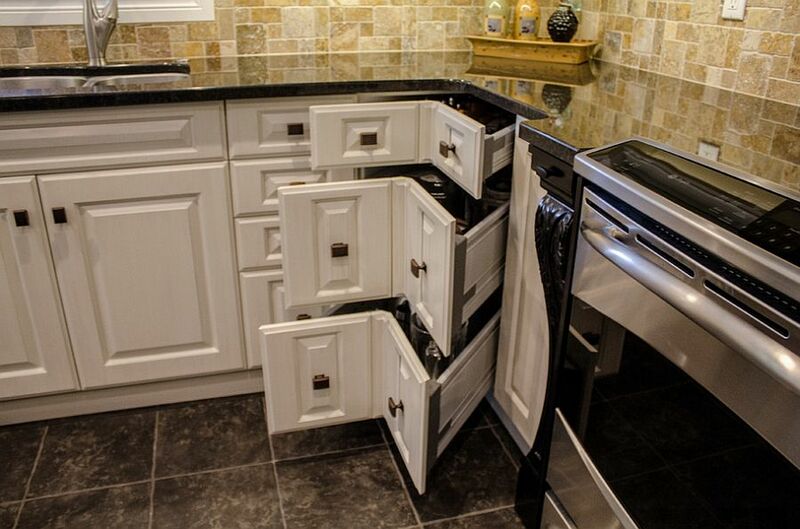 They definitely beat those deep, traditional cabinets which sometimes force you to get down on all fours to find that extra pot or pan. 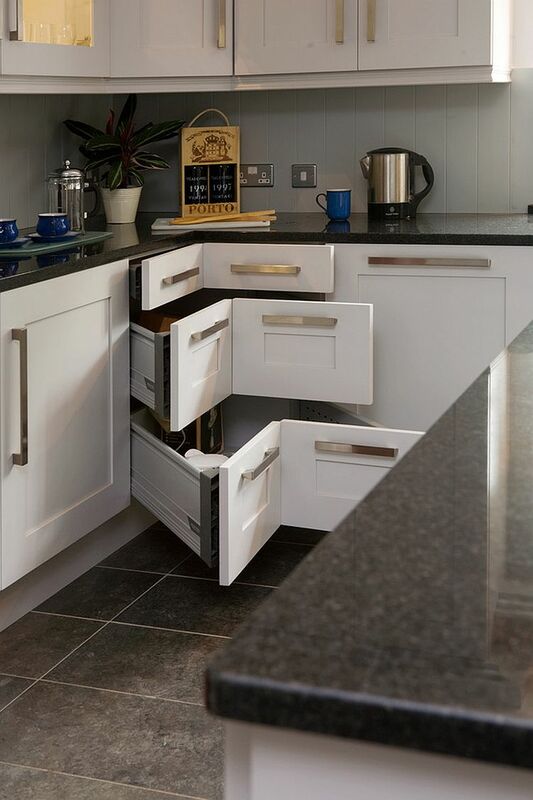 With glossy and versatile modern corner drawers that effortlessly slide out, you will never need to go through the hassle again. 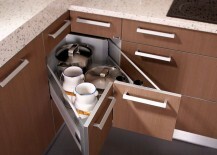 Popular models from the likes of Blum have are quickly becoming a favorite among designers and homeowners alike. 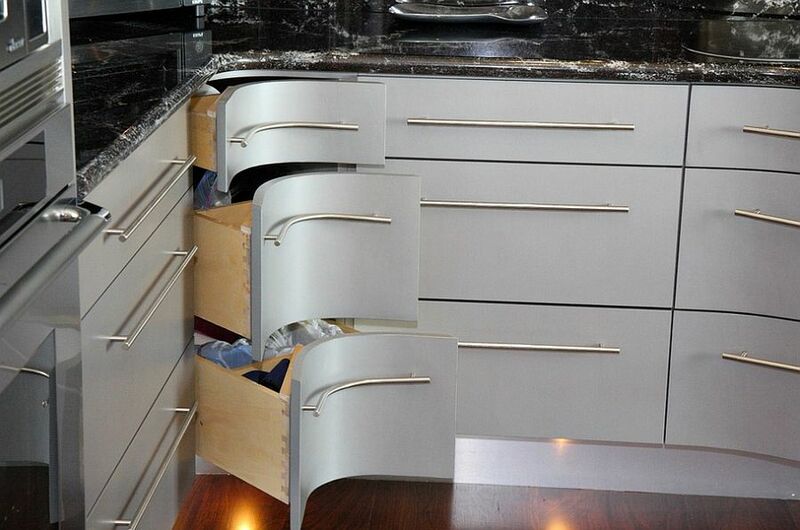 Not everyone can deliver these stylish, elegant and exquisite corner drawers that make your life in the kitchen a whole lot easier. 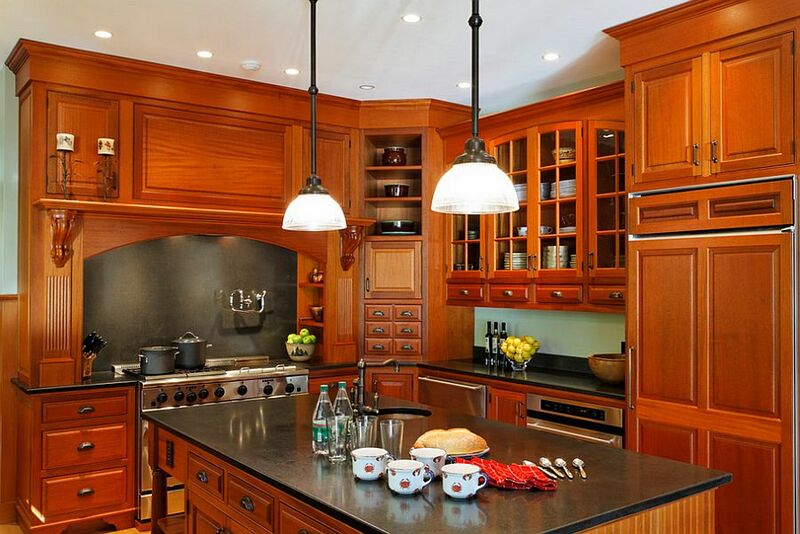 Make sure that your kitchen contractor can provide these customized solutions in a style of your choice so that you are not left disappointed. 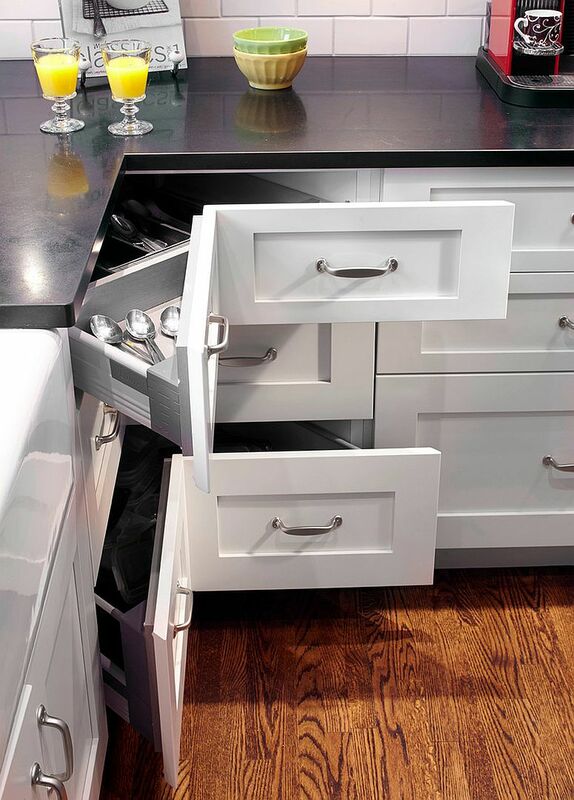 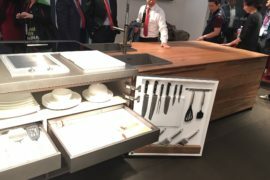 The interior of the drawers can be customized with various compartments, partitions and other features to make sure everything is far more organized and clutter-free in your new kitchen. 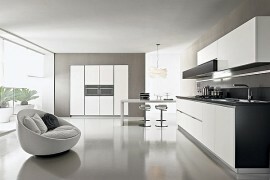 As we alluded to earlier, designing the perfect kitchen is all about a smart marriage between efficiency and aesthetics. 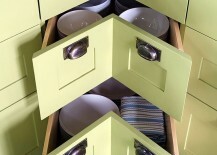 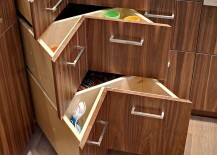 Your corner drawers need not be drab and boring just because they are incredibly useful. 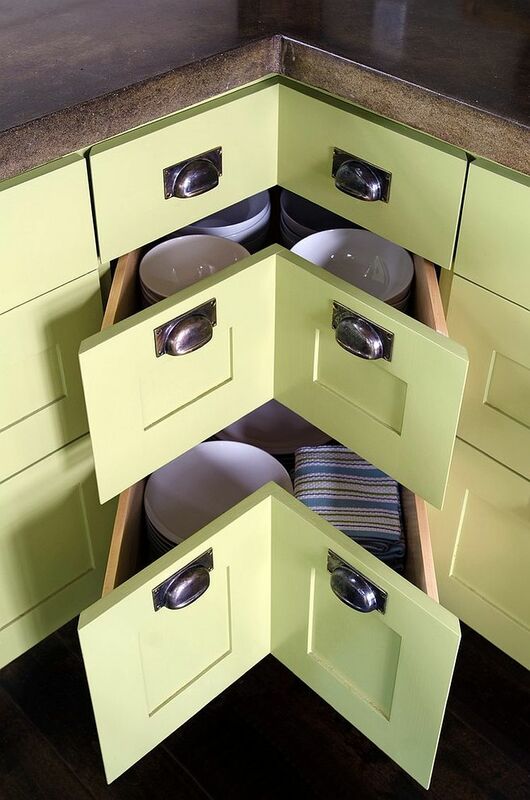 In fact, most of these drawers can easily blend in with the cabinets and shelves next to them to create a picture-perfect look. 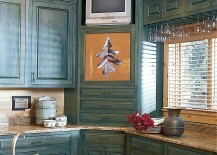 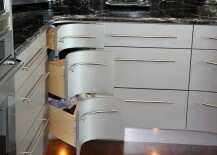 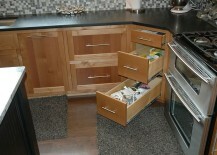 The drawer fronts can be customized by picking a material and color of your choice. 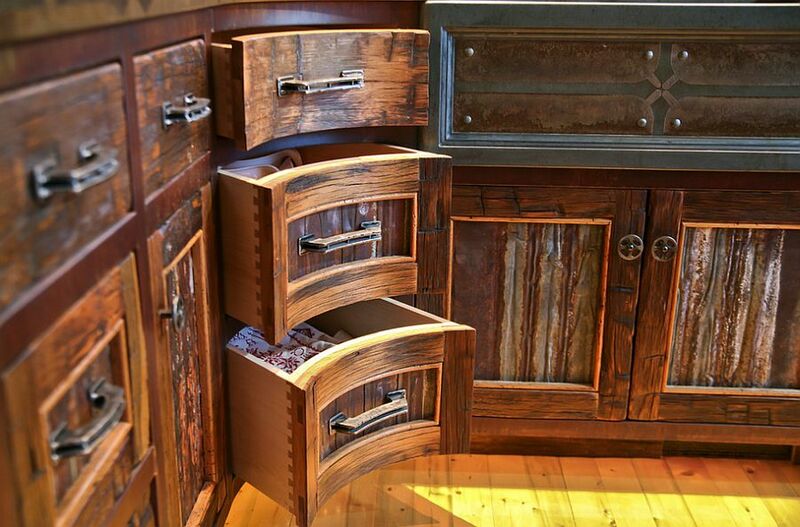 From kitchens with glossy, minimal cabinets to rustic spaces with wooden cabinets, these corner drawers will fit in with almost any theme and style. 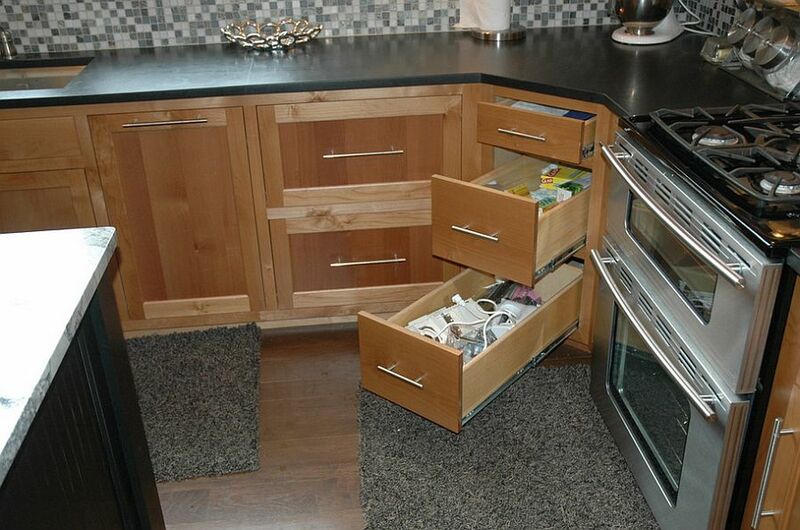 If you prefer a more traditional approach to corner drawers, then the kitchens below are the ones for you. 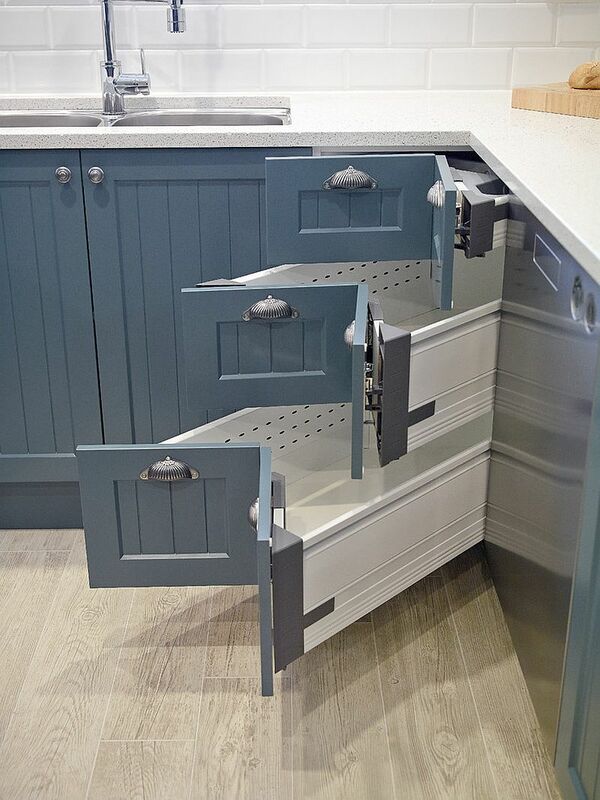 Instead of opting for the more modern drawers with their customized slide-out design, you can take the traditional route of the good old drawers in the corner with additional shelves and storage nooks above them. 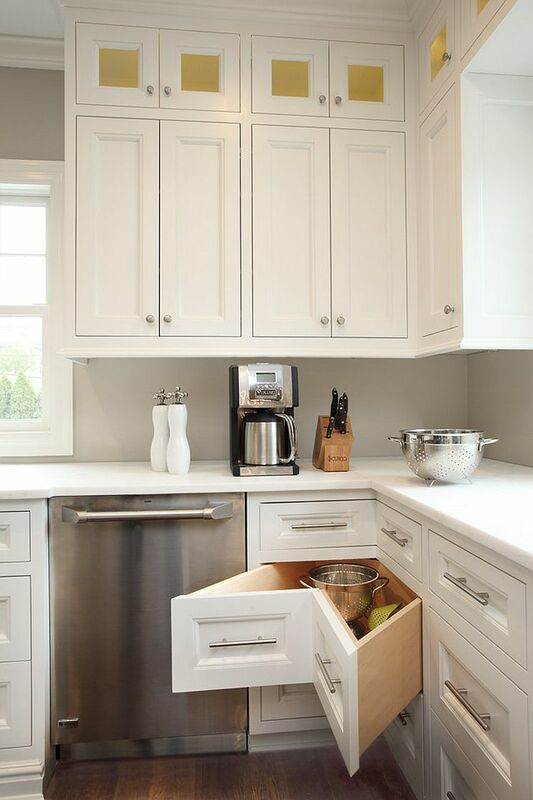 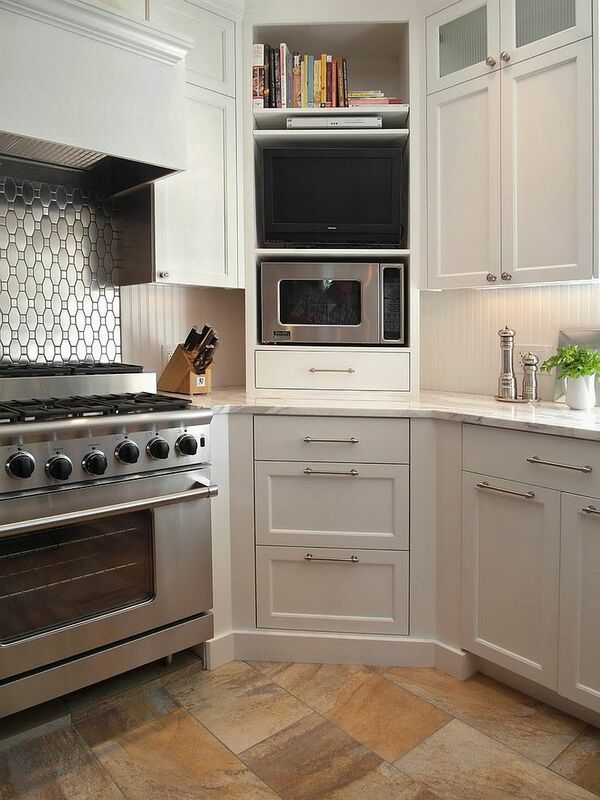 While some prefer a blend of cabinets and drawers for the corner installation, others also make room for everything ranging from a microwave to a small television set above the simple drawers! 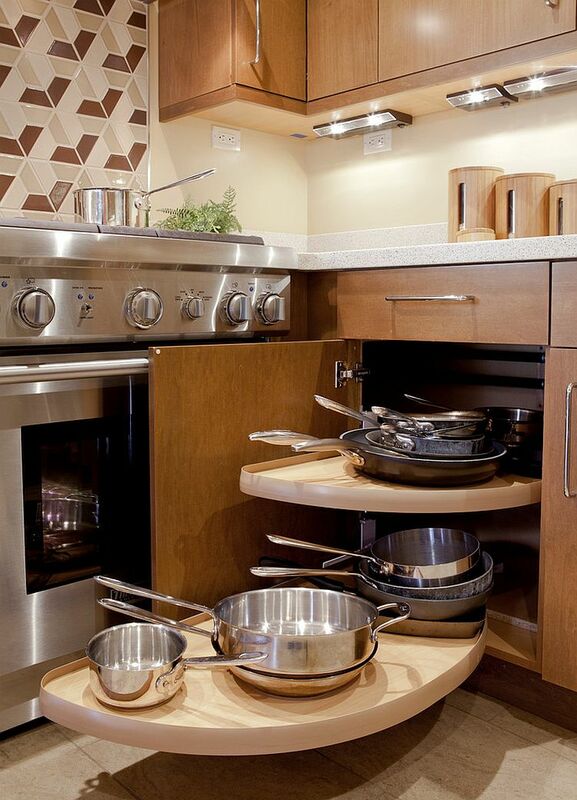 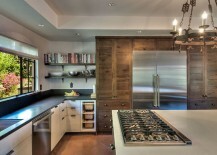 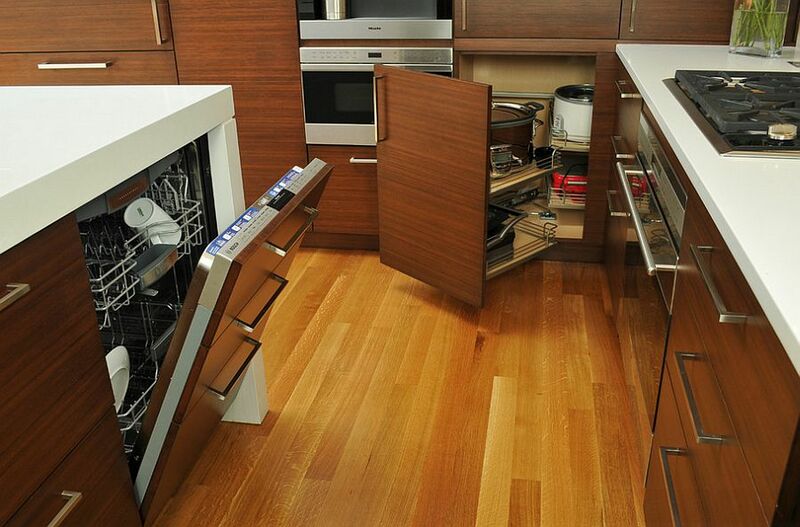 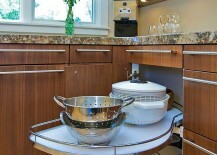 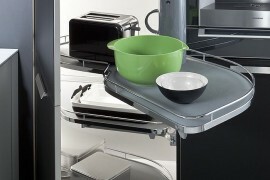 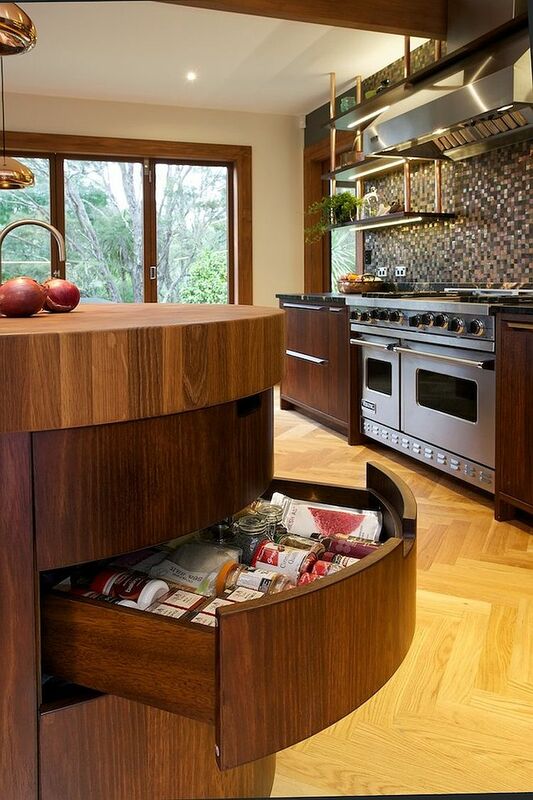 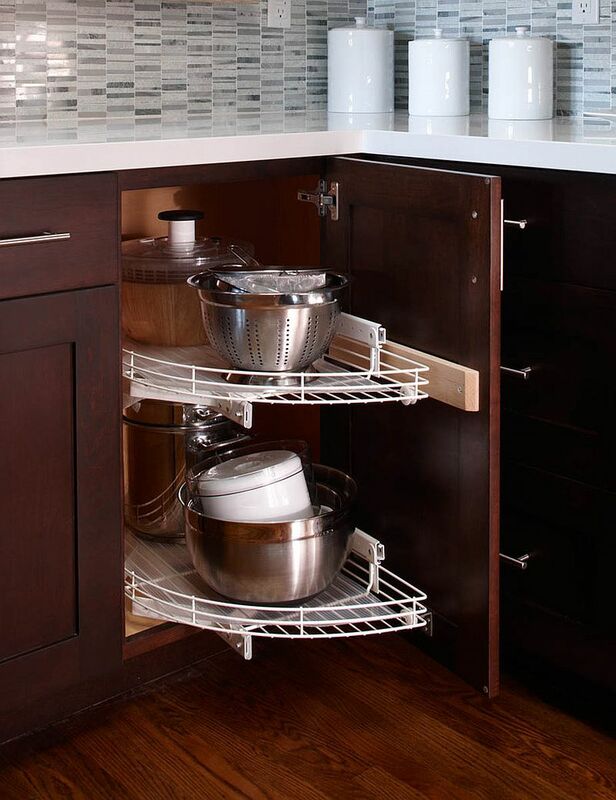 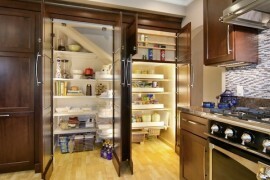 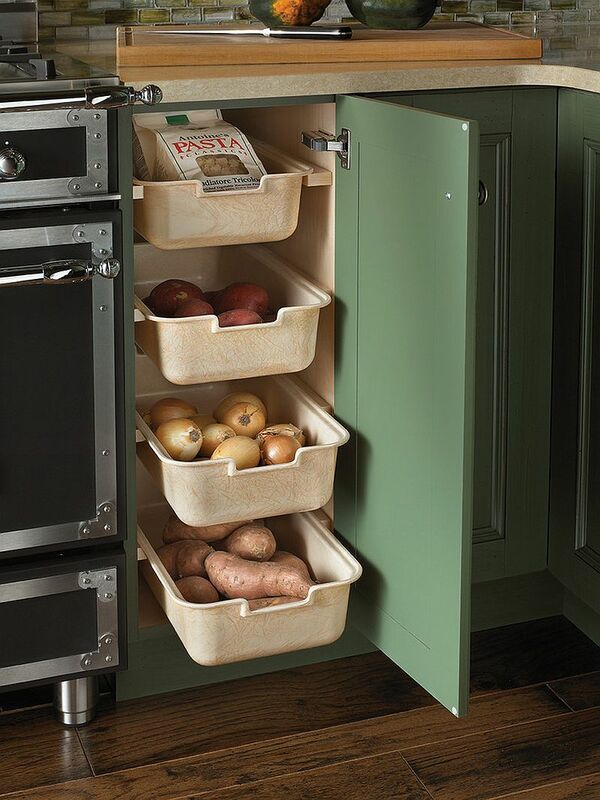 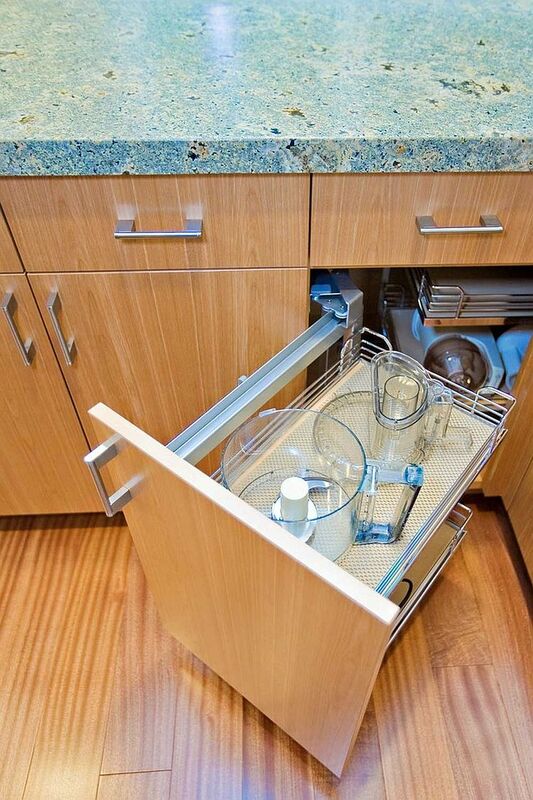 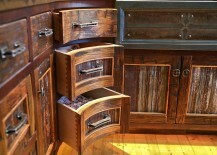 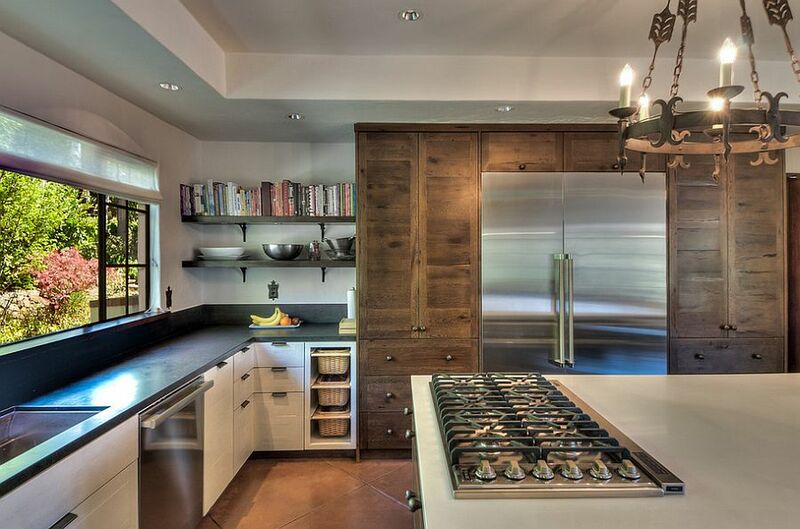 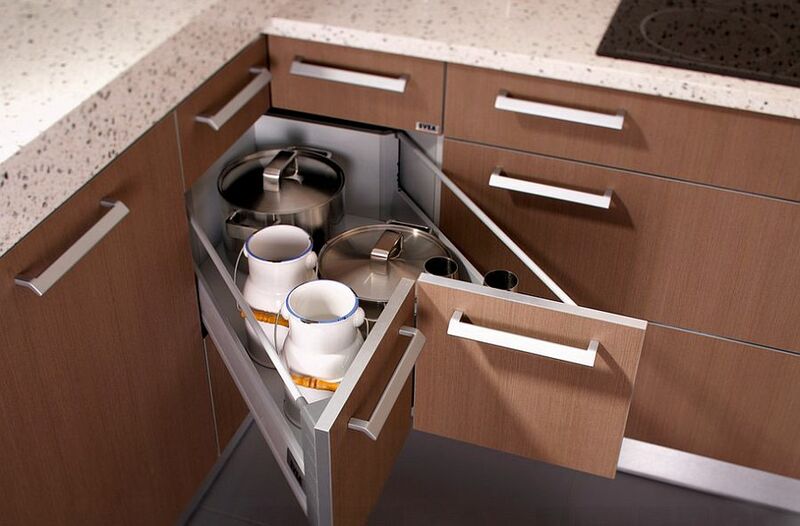 Want to maximize the kitchen corner space but feel that those slide-out drawers simply are not for you? 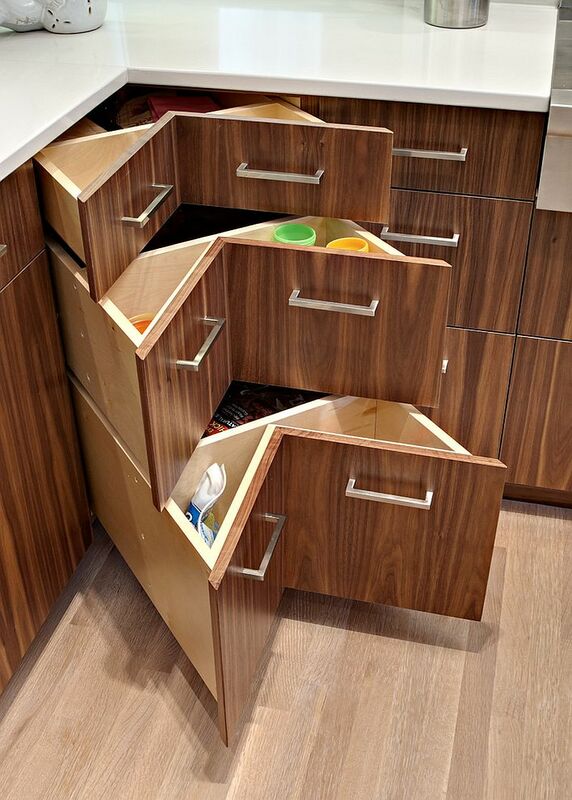 Not to fret as we have an array of ingenious solutions that seem to combine the look of a kitchen cabinet with the convenience of a pullout drawer. 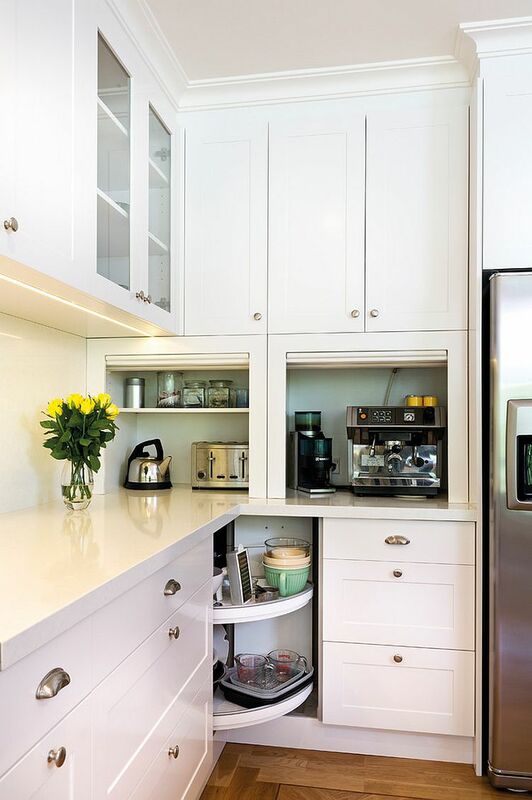 A cabinet with Lazy Susan in the corner under the workstation is one of those perfect alternatives that offer the best of both worlds! 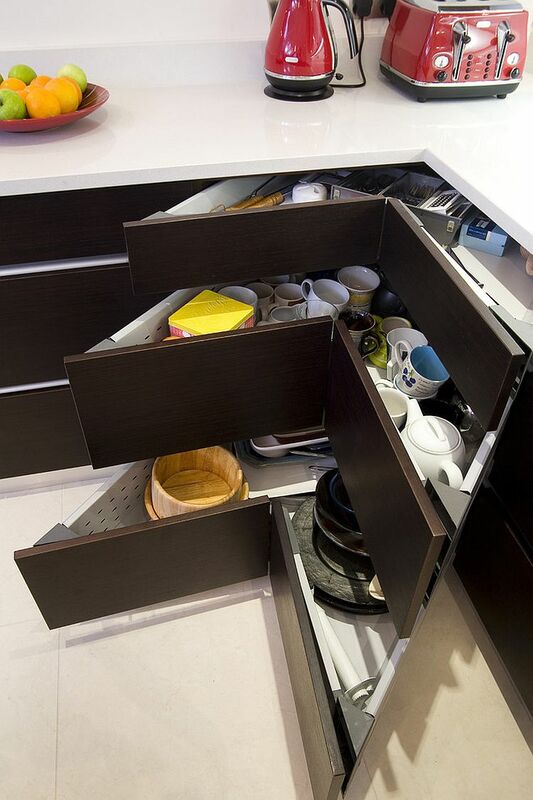 There are many other modern versions inspired by the Lazy Susan that you can find with your local kitchen contractor, which will deliver the ease of corner drawers in a more contemporary, bespoke fashion.